Widely considered to be Russia’s pre-eminent creative and cultural centre, what does today’s St. Petersburg offer the music-loving visitor who wants something a little more contemporary than Tchaikovsky and Shostakovich? The numerous aficionados of Soviet contemporary music among you will know that Leningrad was a positive hot-house for the punk, rock and alternative music movements during the 70s, 80s and early 90s. 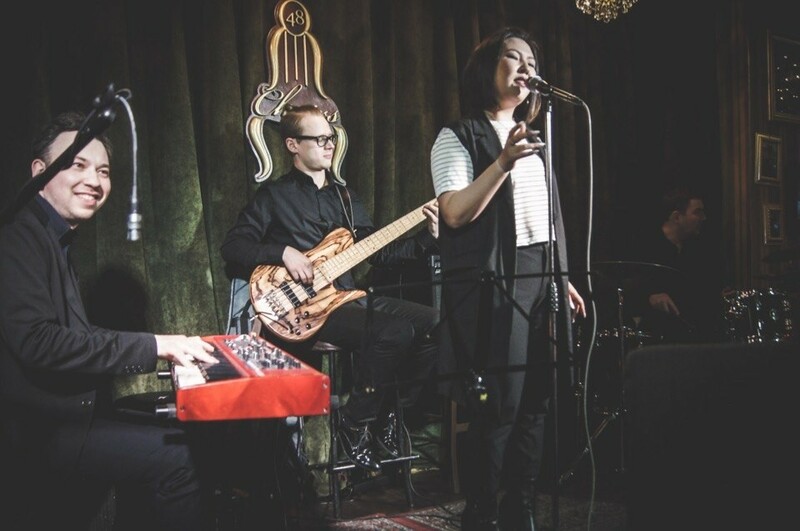 From the lyrical whimsy of Akvarium, through the dark electronica of Kino, the unabashed, knock-down, drag-out ROCK of Alisa and the ebullient eclecticism of DDT to more recent acts such as Splin, Korol’ i Shut, and of course Leningrad, a whole host of musical “collectives” have taken root on the fertile banks of the Neva. 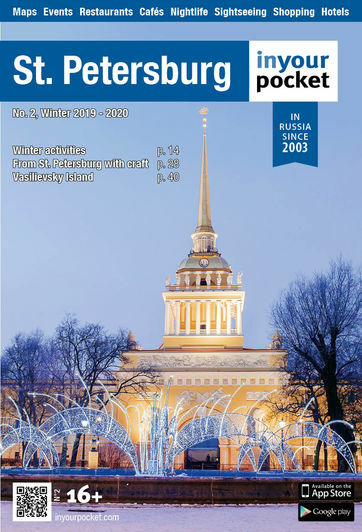 It is frequently the case that financial and political capitals are far less prolific in terms of cultural creativity than other urban centres further down the economic scale (just look at Manchester and Liverpool’s output of rock and pop over the years and compare it with London’s), and Russia is no exception: with due apologies to some fine Moscow bands, Leningrad, and subsequently St. Petersburg, has traditionally been where it’s “at”. But I’ll make the assumption that you’re not a music historian specializing in the post-Soviet underground, but rather someone who’s in town for a few days, and wants to have a few drinks in a place that isn’t full of large screens showing football. 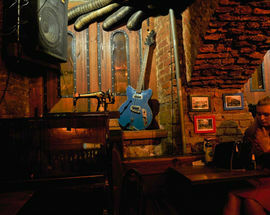 So what does this fine city with such an enviable musical heritage have to offer? In short, quite a lot – and what’s more, the process of discovery is a hugely enjoyable one. What I will try to do is give you some pointers on where you are most likely to have a good time depending on the mood you’re in when you set out. If you fancy a little opulence in a setting where the music, although fine, is very much in the background and not intended to impinge on your meal, head for 48 Chairs on Ulitsa Rubinsteina – you’ll have a thoroughly enjoyable, jazz-tastic evening and there is zero chance of even temporary tinnitus, although nor will you have much opportunity to indulge your happy feet, unless you and your partner are skilled at dancing in the narrow aisles between tables. If you want to dance, or if there is at least the likelihood that you will want to once you’ve had a couple, then head of out of 48 Chairs and either turn right towards the Jazz Philarmonic Hall on Zagorodny Prospekt, or left and make the slightly longer trek to Dom 7 on Kanal Griboedova. 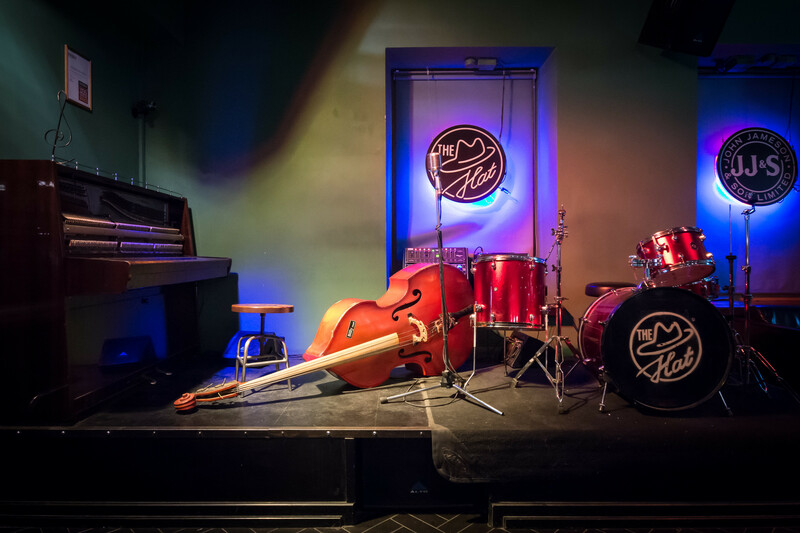 Both places offer a genre-stretching variety of jazz, blues and related styles, what’s more there is a band on pretty much every night of the week – on a wintery Tuesday the musicians may well outnumber the punters, a situation which has its own special charm. If you prefer the anonymity of crowds, then off with you to The Hat on Ulitsa Belinskogo – I have never been there when it hasn’t been absolutely heaving, although admittedly I haven’t been there on a Wednesday in late November – The Hat tends to attract a slightly younger crowd, both in terms of clientele and musicians, the latter because it is a renowned jam venue popular with music students keen to sharpen up their improvisational and performance skills without necessarily demanding payment. 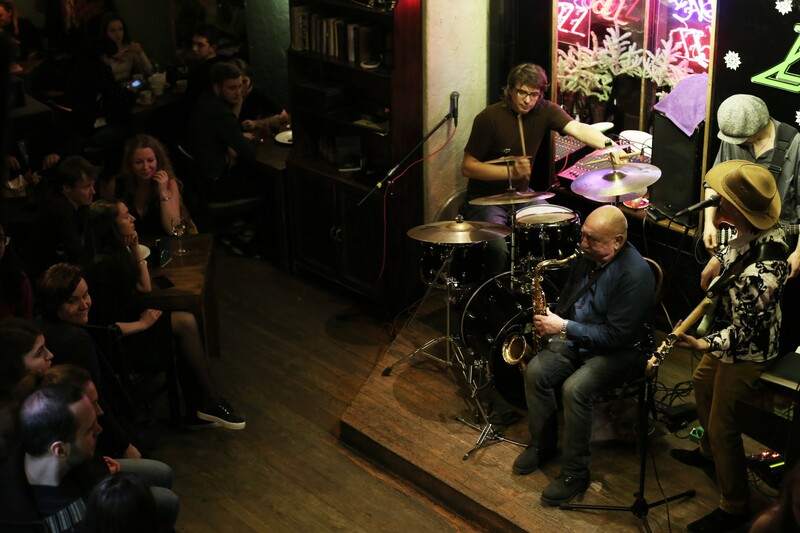 More seasoned and stroky-beard jazzers can be found at the JFC (Jazz Friends Club) on Ulitsa Shpalernaya, another intimate venue which, much like The Hat, makes no attempt to feed you – you’re there to listen to good music, drink (non-alcoholic if you must) and enjoy yourself. 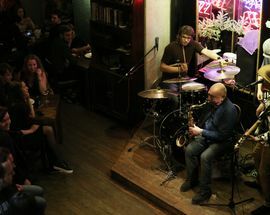 Of course, there’s a lot more to St. Petersburg than bebop, brown corduroy and augmented 6th chords: if you’re into all three kinds of music – blues, rock, and blues-rock – then St. Petersburg also has you covered, with venues including the legendary Liverpool Bar on the corner of ulitsa Zhukovskogo and ulitsa Mayakovskogo, where aside from the obligatory Beatles-covers band you may get to hear some pretty impressive versions of classics by Deep Purple and Pink Floyd (Fridays and Wednesdays respectively, if memory serves). 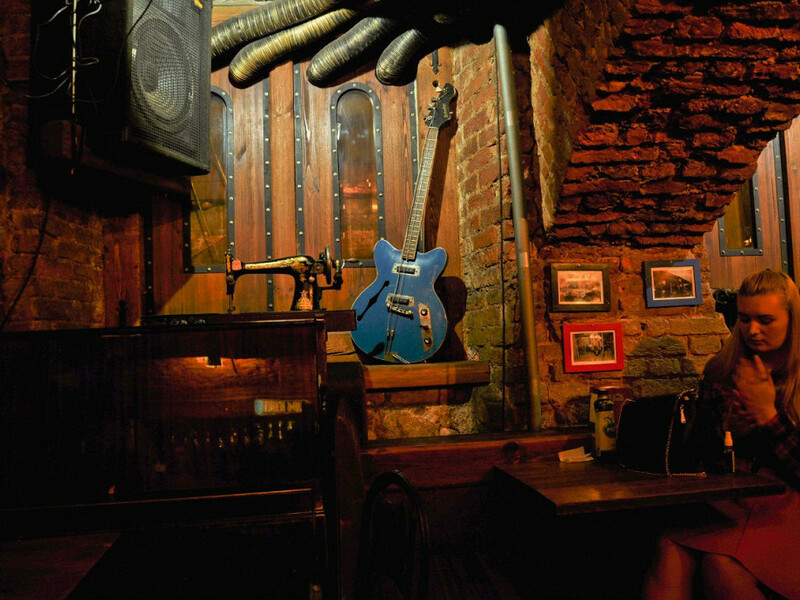 A short walk from the Liverpool, and continuing the basement-theme, albeit closer to the levee than the Liver, is a speakeasy-style blues joint which, in the best traditions of the genre, is easier to find using your ears than your eyes. 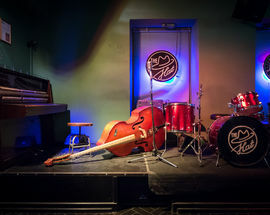 The GA Blues Club on Liteiny Prospekt, once known as the Jimi Hendrix, is a must if you want the full sweat-on-the-walls experience – although again, this is more likely to occur on a Friday night in August than a Tuesday night in February. 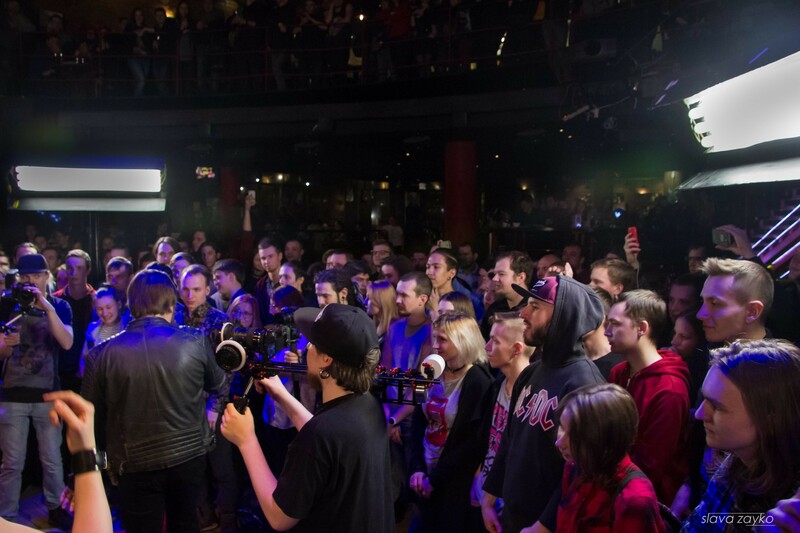 A rock venue that has managed to retain its rock-star name is Club Jagger on Ploshchad Konstitutsii: you will have to venture a little way from the centre to get here, but it is a much bigger venue with – hand on heart – one of the best live sounds I’ve heard anywhere. 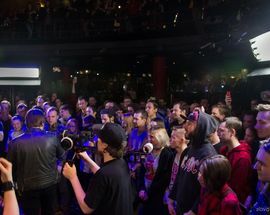 Rock is very much the order of the day, or rather night, here, and there is plenty of space to dance, headbang or mosh according to your own personal taste. The Jagger is also a great place to see tribute acts, so if seeing grown men dressed up in wigs and spandex pretending to be any one of the myriad incarnations of Rainbow is your thing, step right this way. 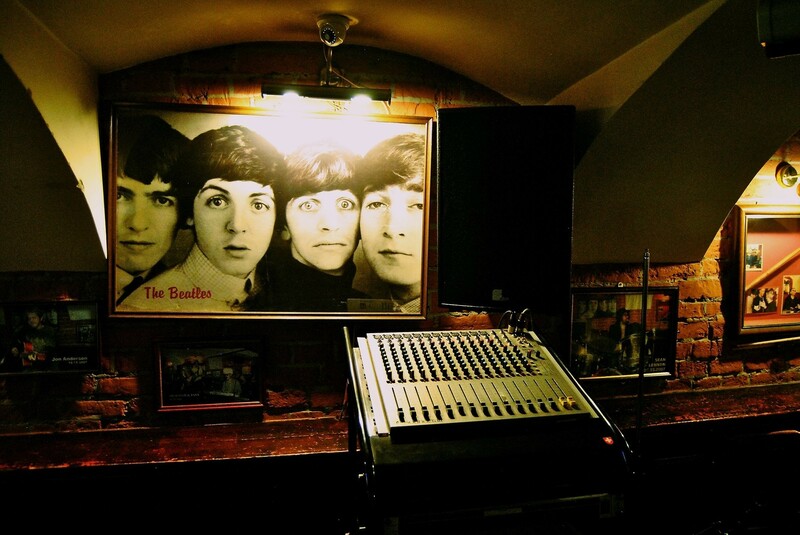 This being Russia, at the time of writing the Jagger is temporarily closed for reasons I haven’t been able to fathom, but all the signs are that it will soon re-open its doors – I just hope that the PA is still in fine fettle when they put the faders up once more. 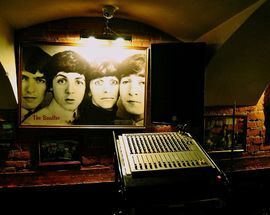 While the next place on our little musical jaunt round the city can’t rival the Jagger for audiophile-friendly sonic purity, we shouldn’t judge it too harshly: it is, after all, located in a building not really designed for the purpose. 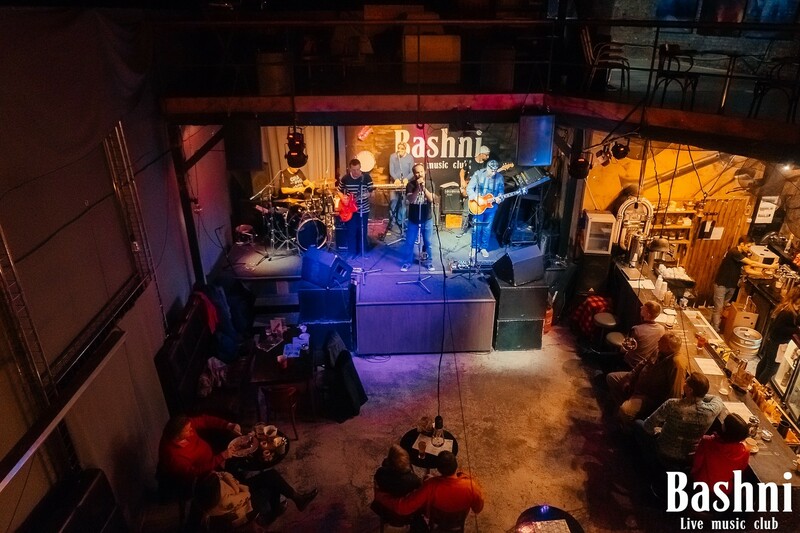 The Bashni Club (www.bashni.club), one of the newer venues on our list, has made its home in a converted gasometer on Obvodny Kanal – I have played here in the past, and at the first sound-check I thought I’d left my effects-processor’s echo setting on, but it turned out that the endless resonations were down to the 15-metre high ceiling. It’s a very impressive venue, helped no end by half of the floor-space being given over to a slightly random collection of motorbikes, thereby completing the sensory experience with the heady aroma of rubber, motor oil and old leather. Brrm-brrm! I’m probably running out of space now, and I can almost hear local residents reading this piece and saying, “But what about the Krasny Lis? What about The Right Place? Hard Rock Café?” etc. 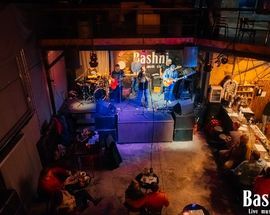 etc., and that in a way is the point: St. Petersburg has an embarrassment of riches as far as live music venues are concerned. 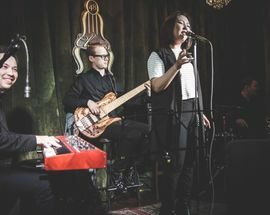 Given the sheer number of musical schools, colleges and freelance teachers here, it is no surprise that the live scene is in such rude health to this day. But don’t just take my word for it - you could just as well ignore all the foregoing and follow your nose and ears until you find a place that you like the look of – it won’t take long.